I had the opportunity to play Eagle Nest Golf Course recently and this is one course that doesn't sacrifice quality for price. I really enjoyed the innovative design and layout of this golf course. Green and Cart fees are reasonably priced and range anywhere from $30 to $75 depending on the time of season - of course the best rates can be found right here on this website, especially within 48 hours. The final three holes are known as "The Toughest Three Finishing Holes on the Grand Strand," and my inflated scores on 16, 17, and 18 showed me exactly why. Check out their website for further information. 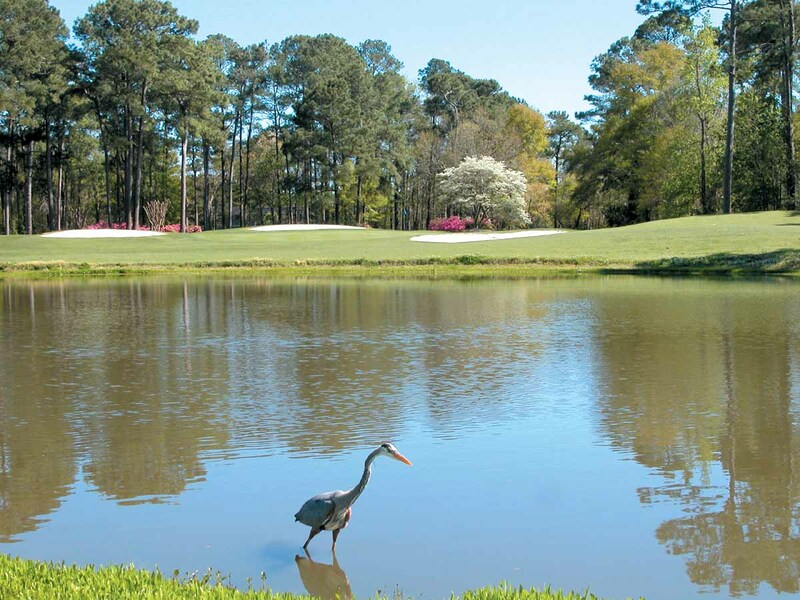 The locals love this Myrtle Beach area golf course and with it being centrally located along the Northern end of the Grand Strand, you will too. Easy to get to from all along the Myrtle Beach area, this golf course is surrounded by wonderful views of nature. Take an afternoon (or morning) to explore this unsung gem, you'll be glad you did. I had the opportunity to play Eagle Nest Golf Course recently and this is one course that doesn't sacrifice quality for price.